It's not very often that Bum Wine Bob is on the front lines when it comes to new beers, but today is an exception. 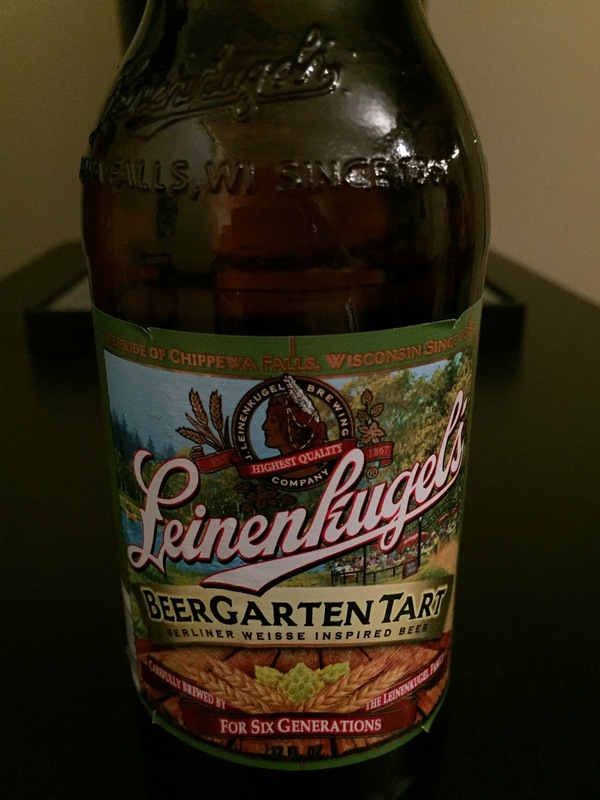 It was just last week that I was introduced to the latest offering by The Jacob Leinenkugel Brewing Company, the BeerGarten Tart! 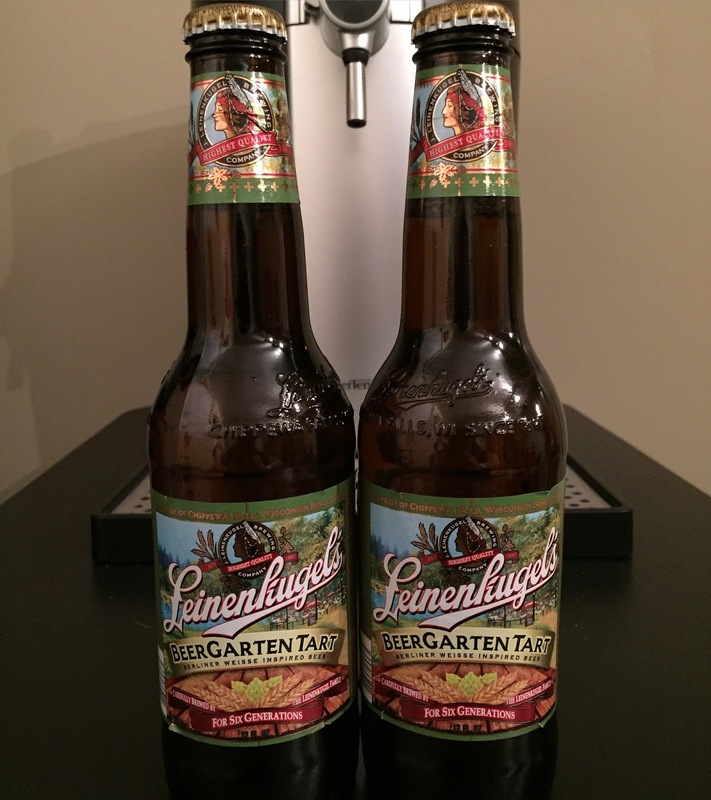 Leinenkugel’s BeerGarten Tart is inspired by the Berliner Weisse, a classic German biergarten summer favorite. 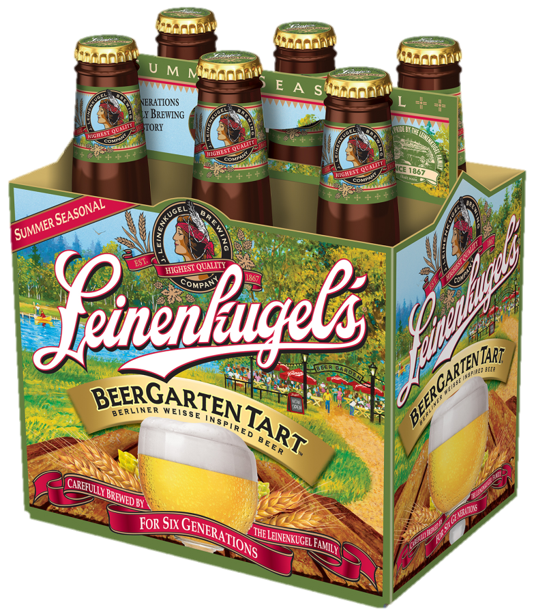 The BeerGarten Tart is a more seasonable take on a sour style that is becoming increasingly popular in craft. Coming in at 4.8% Alcohol By Volume, the BeerGarten tartness is subtle at first, but builds gradually as you enjoy the beer. Now the BeerGarten Tart is not something that I would sit around and drink all afternoon, but it's perfect to enjoy if you are planning on relaxing with a beer or two on a warm day. The taste might not be for everyone, as the sourness of the beer comes through after each sip and can get a little too overpowering towards the end. 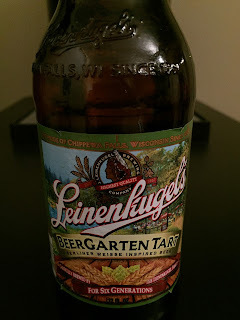 I would not put the BeerGarten Tart on the same level as the always enjoyable Leinenkugel’s Summer Shandy, but I could see people who enjoy the tartness ranking it towards the top or their list. 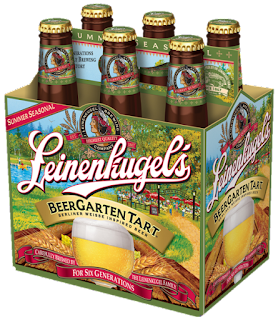 The Leinenkugel’s BeerGarten Tart is available for a limited time from April 1 to July 31. Go out and pick up a few bottles to give it a try for yourself. You might like it...or you might hate it. Either way, tell them Bum Wine Bob sent you! Leinenkugel’s BeerGarten Tart is the BWB Beer Of The Week! The BWB Podcast is taking a brief hiatus, but if all goes according to plan I should be back on the air LIVE next Sunday, 5/1/16 at 11am ET with the 2016 BWB State Of The Union Address! Need to get your bum wine fix in the meantime? You can always check out some of the classic episodes over in the archives at BlogTalkRadio! Cheers!